The latest India-Pakistan spat at the UN General Assembly reflects a trend that I have grown accustomed to in my living memory. In Kashmir, I am all too familiar with the gossip that such fierce rivalry generates. Such gossip is particularly prevalent at communal places, such as a baker’s shops in the early-morning run when people queue up to fetch hot naan called lavasa or at barber shops that offer unvarnished political commentary and strong opinions from a plethora of talking heads – a modern variant of the tajziya kars that choke the primetime across television networks. The discussions at the traditional baker shops, called kandaer wan in local parlance, still mention military crackdowns or hartals that often follow after the death of civilians or militants – nominally-trained resistance fighters who could barely carry a weapon, but are still meted out a brutal end as part of the state-assisted paraphernalia of death, gore and destruction. The comeback of Kashmir as the core issue between Pakistan and India has provoked India to go for an easy and cost-effective option: displaying its military might in Kashmir with uncompromising clarity that continues to feed acres of martyrs’ graveyards across the region. Following the mass public rebellion after the death of militant commander Burhan Wani, the hardening of the BJP government’s stance over Kashmir and a continued fiery rhetoric about Pakistan has culminated in the new Pakistani government matching India’s response in tone and tenor. This leaves very little room for meaningful engagement to ease the situation – both the political narrative and the regular exchange of firing along the Line of Control that kill and maim people without distinction. After the Vajpayee-Musharraf bonhomie following the Kargil disaster, there were cultural exchanges through the participation of Pakistani artists and singers in various Indian TV programmes and Bollywood films, music festivals, and visit from delegations of writers, intellectuals and poets from both countries. But since 2016, most of this has come to an end. Even Bollywood has largely succumbed to a toxic and hate-filled campaign by extremists and almost pushed out Pakistani actors. The pressure of hate has reached such a climax that even successful and apparently well-meaning Bollywood actors and directors have had to publicly apologise for casting or working with Pakistani actors. This has almost completed the plans of extremists to construct an impregnable wall through hatred and insulation. Thankfully, there are books, mainly from Pakistani authors, that keep the two countries connected and allow some much-needed interaction – though with limited possibilities of a physical interface. During the last five or six years, despite the unceasing production of aversion and militant rhetoric amid ‘calls of duty’ for mutual annihilation, a growing number of Pakistani writers in English or those who are translated from Urdu are being published in India – and with increasingly good reception. This year, India-based publishers have brought out the latest novels of well-known Pakistani writers like Mohsin Hamid, Kamila Shamsie and Mohammad Hanif, and Nadia Akbar’s debut novel, ‘Goodbye Freddie Mercury’, and Sanam Maher’s book on Qandeel Baloch. Kanishka Gupta, an author-turned-literary agent in his mid-thirties, has played an important role in popularising Pakistani authors. He has become quite a name in Pakistan for picking up new talent and turning them into published authors of good notice. He has successfully represented more than 40 of them and the number is growing. What goes to Kanishka’s credit is his nose for picking up talented debut writers and getting them deals with leading companies in India that cater to the South Asian market. “Indian publishers are no longer afraid to bet on debut Pakistani writers or published writers who are relatively unsung outside their country. They’re open to experimenting with form and one can see publishers bringing out books in diverse genres such as sci-fi, medical thrillers, crime, graphic novels, and illustrated children’s books,” Kanishka explains the trend. In the last decade, publishing in India has had a phenomenal growth, and so have writers – from serious non-fiction to popular fiction. For Indian publishers, Pakistani writers offer a different perspective and perhaps carry an intriguing element to attract attention that can be monetised through sales. 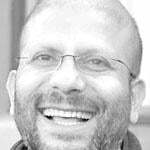 Kanishka believes that Pakistani writers tell better stories – a bold assertion that is debatable as India has a long and glorious tradition of writing in English that has been recognised worldwide. But there is no denying the fact that over the past four or five years Pakistan has been producing marvellous literature in English that sounds fresh and captivating. But there is some criticism as well. This includes the claim that some Pakistani writing that is published in India fits well with the stereotypical image of Pakistan cultivated by the Western media – a dystopia where the so-called jihadists work in tandem with the military to bring the whole world down. Haroon Khalid whose non-fiction book, titled ‘A White Trail’, was published in India about five years back, once commented on the kind of Pakistani content that is solicited in India in the following words: “It is terrorism…Islamisation…topics like these that reinforce the biases of the Indian audience and that sells”. Former political spin-doctor and diplomat Hussain Haqqani’s latest books on Pakistan are doing well in reinforcing an image of Pakistan that supports the toxic narrative of the right-wing Hindu groups and, therefore, has been received warmly. But as Kanishka Gupta and other literary agents invest more passion in discovering new talent from Pakistan, better and diverse writings are coming to the fore. Sabyn Javeri’s ‘Nobody Killed her’, a thriller narrated as a courtroom drama – published in early 2017 – and Nadia Akbar’s ‘Goodbye Freddie Mercury’ – published a few months back – offer insight into the emergence of powerful new writing. Even Urdu translations from Pakistani writers have started to gain traction among Indian audiences. Kanishka represents writers like Ghulam Abbas, Ali Akbar Natiq, Intizar Hussain, Mirza Athar Baig, and Mushtaq Yousufi. Sanam Maher describes her experience with her publisher, Aleph Book Company, as great, but resents the fetters imposed by the securitised bureaucracy between the two countries. As a writer from Pakistan, you may lose out working with an Indian publisher. “It is difficult to publicise and market your book if you don’t have the ability to travel to India or face visa issues with a Pakistani passport,” she says.